Social media is a must for any business who wishes to remain relevant and engaged in today’s modern and technological world. Being connected to various social platforms helps increase engagement, but what you post, when you post it and how, are just as important as where you post it. Being able to appear active around the clock online, even when you’re away from the computer, isn’t as hard as it sounds. There are various apps which allow you to schedule content to social networks. One of the leading ones is Buffer. This tool is purpose built to be a scheduling and sharing app. All you have to do is connect your social profiles, “Buffer” the links you wish to post out, and away you go! Once you have registered, you will be greeted by a choice of option plans. Click the option which would best suits your needs. Be aware that the individual user option is free, whilst the other two are paid but offer more features. You can always opt for a free trial before committing to a paid plan. Buffer is all about scheduling content at key times, so it’s important you set your profile up correctly. 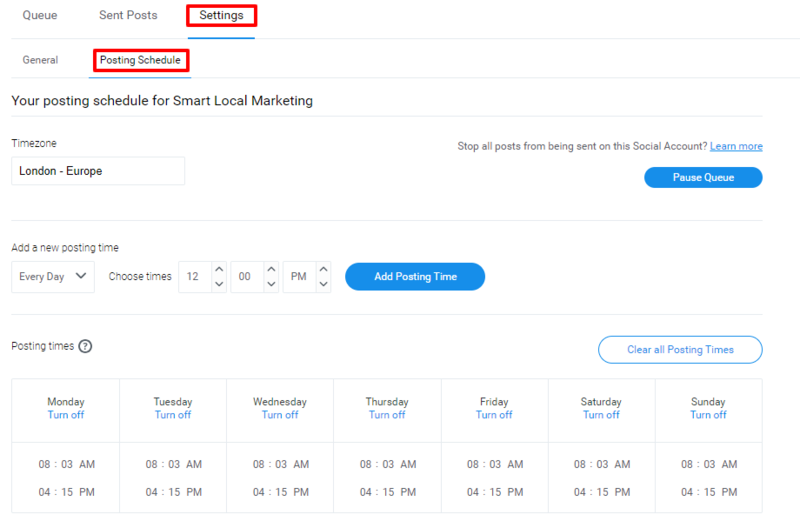 To set up your schedule click on “Settings” then “Posting Schedule”. Make sure that you’ve got the correct timezone set by filling in the “Timezone” box box. For example, type in “London – Europe”. From there, you can select the days which you would like your scheduled content to go out on. For example, the photo above would indicate that content is to be scheduled for every day at both 8:03am and 4:15pm. You can select as many times per day as you like. These times will go out for all your selected days. Be sure you choose times which are most relevant to your audience. You can drag and drop content into the order you want it to published, or, if you’re feeling adventurous, you can shuffle content into a random order. Buffer comes complete with very basic analytics, even for the free plan. You can see how many people have clicked on your links for each network you publish to. This way, you can test which time gains you most engagement and always be sure to take advantage of it when scheduling future updates. Being active on social is very important for businesses and individuals alike. Being able to appear socially active, even if you’re away from technology, means you are able to encourage more engagement and increase your audience and/or consumer base. Buffer is a brilliantly simple tool for ensuring you post regularly and around the clock at times which are tailored to your businesses needs. Social media can be a minefield for businesses. An endless array of networks, interactions, posts and so on. Switching between tabs on the internet for your various profiles and replying from each individually can be tiring and time consuming. Fortunately, there are some excellent social media marketing tools out there that allow businesses to pool all of their social media and features into one place to ensure your social marketing is efficient and easy. HootSuite is undoubtedly the leading social media platform, with over 9 million users. 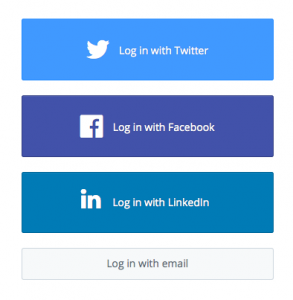 A popular and intuitive platform, this allows you to combine networks such as Facebook, Twitter, Google Plus and Instagram in one place. It offers various price plans and feature options, raging from free to “Pro” for £7.19 a month or their top range offer, “Enterprise” for elite business and corporate use. It allows you to not only post from each of your networks, but also to establish feeds for your @mentions, private messages, comments, and so on. An Ambassador of the classic, “column” interface, you can easily set up and organise your dashboard to please you. 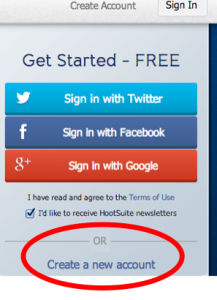 You can read our “Smart Guide To HootSuite” here. TweetDeck, as the name may suggest, is a free and exclusively Twitter focused tool which allows you to streamline your Twitter use. You can have your timeline, notifications, Direct Messages and trends and activity all in one place, lined up next to each other so you save time having to navigate like you would on the website. An excellent tool for ensuring your links and updates are always published at opportune moments, Buffer allows you to schedule posts to times which suit your businesses needs. Posting to networks such as Twitter, Facebook, LinkedIn and Google Plus, this simple but brilliant tool means you can get quality content and information to your audience even when you’re away from your desk. Price plans range from free to the “Awesome Plan” for $10 a month. Zapp! allows you to ad networks such as Facebook, Pinterest, Twitter, YouTube, email and many more and promote your business in a hard and fast manner. Set up similar to an email inbox, it has all your feeds and interactions in one stream, making sure you never miss a beat when it comes to your social media. Prices range from the “Basic Plan” of $39.95 per month to the “Pro” at $99.95 per month. SproutSocial is set up much like an Inbox you would find for email interfaces. Pooling all your feeds across the various networks into one place, you can establish “Smart Inboxes” to cherry pick the data that is relevant to your social marketing needs. There are three options for price plans, ranging from Deluxe at $59 per user a month, Premium at $99 per user a month and Enterprise at $1,500 per month. Finding the right social media marketing tools for your business really can shave time off your day as well as up the ante in marketing prowess. 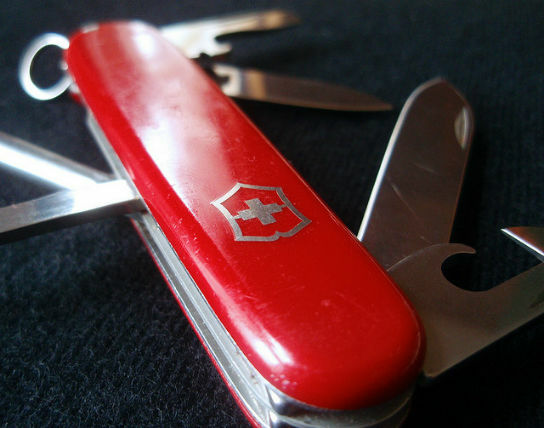 It may be that you are happy using one tool for your social use, or find that mixing and matching different tools means you get the best features from each. Finding what works for you is the key to successful social marketing, but one thing is for sure, these tools really are great help for those serious about social networking. HootSuite is one such platform. The juggernaut of social media platforms, this brand allows you to streamline all of your social media activity into one easy to use interface. With access to Facebook, Twitter, Instagram (depending on your account), Google Plus and FourSquare, you have all you need to be a social media savvy business in one place. It operates a “freemium” option as well as paid accounts, so you can find something to suit your needs. Once on the HootSuite website, click on the option to “Create a new account”. 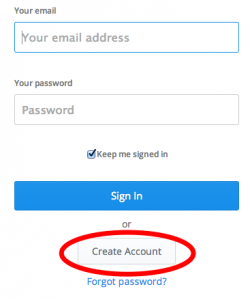 From there, fill in the data file with your email address, full name and create a password. Once you have added your networks, you can start setting up your dashboard. From there, you can decide which network you want the stream to be for. 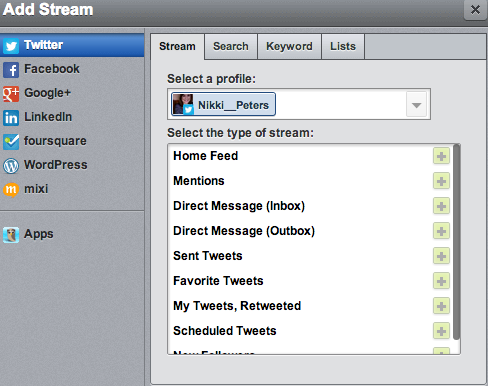 If you want a social network stream, click on networks options down the left side of the tool bar. Once you have done that, you can then apply the options applicable to that network, whether you want your @mentions, DM’s, news feed photos, etc. If you want a stream dedicated to keywords, the simply click on that option in the top tool bar. You can delete streams by clicking on the small X on the right hand side of the column tool bar at the top. You can also refresh your feed by clicking on the circular arrow in the column tool bar to see new content. Once you have set up all your streams for the content you need, you can start exploring how to post updates and respond to others. You can attach a link to your updates by clicking on the option as pictured in the shot above. You can also attach a location to your update if you wish to by clicking on the location bulb. The second icon from the right. 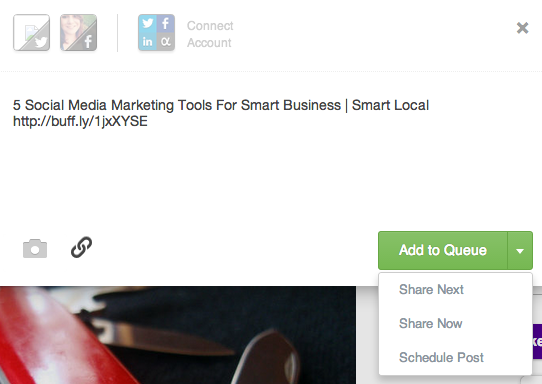 Scheduling updates is so simple with HootSuite. NB: if you have a paid HootSuite account, you can use the bulk upload scheduler to schedule multiple messages at once. This option is not available on the free account. Being able to search for the keywords relevant to your business needs is a very important social media tool. HootSuite allows you to search for keywords and set up streams to be able to see them easily and respond to them as required. Click on the “Add Stream”, just as you would when adding a social network feed. Click on the “Keyword” option along the top of the tool box. 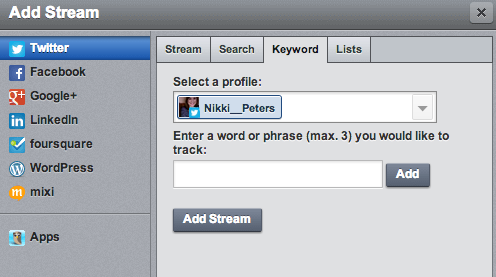 Enter the word of choice into the text box and click on “Add” followed by “Add Stream” to create the column. You can repeat this for as many keywords or phrases as you need. You can use this keyword search to also search for relevant hashtag updates. HootSuite really is an excellent tool for any business looking to create a power base on social media. Being able to have every network, every core feature and every possible column for all your feeds, really is important in saving you time and ensuring you do not miss a beat when it comes to social marketing. Instagram is one of the largest social networks in use and is certainly the worlds leading photo platform. A primarily mobile based app, it allows users to take, upload and digitally filter and enhance photos before sharing them publicly, both online in its own forum and also via other social networks such as Facebook and Twitter. It is renowned for its retro feel and look, inspired by the days of polaroid photos giving your photos a classic cool touch. It really is simple, just go to your app store on your phone and search for Instagram and download. Here’s the app on iTunes and GooglePlay. Be sure to use your brand name when registering your handle, keeping it the same as your Facebook and Twitter profiles if possible to give you consistency and make you easy to locate. The same goes for your profile photo, if you have a brand logo, make sure you use that. Link out to your website in the bio section to ensure increased traffic to your own site. Once you have it installed, open the app and start uploading by clicking on the blue camera icon in the bottom centre of the screen. From there you can either take a photo in real time or scroll through your gallery to find one. Resize it using the touch screen square option, click the arrow icon top right corner to move on. Select the filters from the row across the bottom of the screen until you find one you like. Select to send it to other profiles such as Facebook and Twitter for maximise publicity. 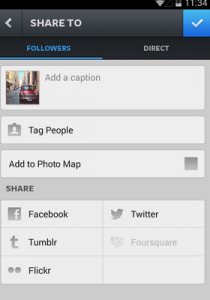 You also have the option to tag other Instagram users if its relevant to do so, it’s a good way of reaching out. If you like, you can even add a location to the photo so people know where to find you. After you have done that, all that is left is to post it by again clicking the arrow. It’s really that easy! It’s a common misperception that photo apps such as Instagram are aimed solely at young people for personal use, and although this is one core marketing group, it’s also a fantastic way to plug your business if you know how to embrace it correctly. The key is to balance the content of your photos from personal and fun, so your audience can see that you’re human and approachable, but also maintain a level of business and work ethics. Posting photos of your team having coffee and laughing during work meetings is a perfect Instagram photo opportunity to help break the fourth wall between you and your consumer base. Whilst these laid back personal touches are welcome and should be embraced, be sure to ensure they retain a level of respectability. Be clever with it as a marketing tool. Have a sale on? Upload an Instagram of a “Sale!” image so your customers know that they can get money off and be more likely to engage. 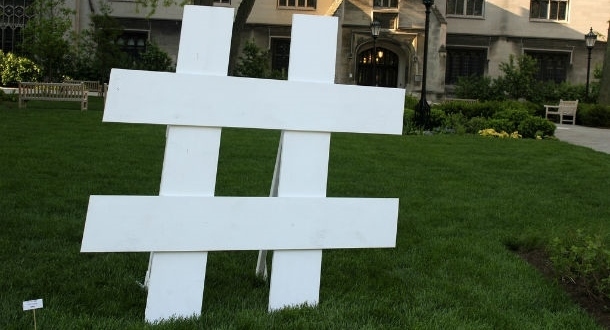 Be sure to use hashtags when you publish. Key ideas would be your brand name, the word sale, the items you sell and are showing in the photo, length of sale, colour of item. These keyword hashtags will help lead customers to you (especially if you also post out to Facebook and Twitter when you publish). Instagram is a great visual marketing tool. Not only can you market items or products, you can show the public that you’re just like them, normal people, having fun and doing a great job. By walking a line of personal touches and business posts, you will have an Instagram profile people will love and connect with. And if people are connecting, they’re appreciating your brand.